Please stay tuned for our winter 2019 issue of Blue Heron Review (BHR #11), which is due to be published in early March 2019. Thank you for your patience. All submissions will be read with great care. Responses will be sent out approximately 8-10 weeks after receiving a submission. Please send ONLY 2-3 poems (previously unpublished work) in the BODY of your e-mail. Short, poetic prose will also be considered. NO attachments, please. NO simultaneous submissions. Please include an author bio of 150 words or less, in the 3rd person. Please include a brief cover letter, with your poems, in the body of the e-mail. Editors appreciate good manners. Left aligned, single spaced poems are preferred. Poems with “creative” use of indents and wonky spacing within lines are also NOT encouraged. Please send your very best work. We want to provide a loving home for your beautiful poetry to share with others, so only send poems which you are most proud of, and which you have proofread at least 3 times! We are ONLY looking for previously unpublished work (EXCEPT in our inaugural issue, winter/2014) . Blue Heron will NOT consider poems that have been previously published in a print or an online magazine or journal. Poems shared on Facebook or on a poet’s personal blog are acceptable. Copyright remains with the poet. Blue Heron reserves first publication rights. THE FINE PRINT: Blue Heron Review Publication Rights Clause ~ Blue Heron Review reserves first online publication rights to the poems it publishes. The author of a work is free to have poems, which first appeared in Blue Heron, re-published elsewhere, as long as other publishers do not require first rights AND those publishers credit the work’s first publication in Blue Heron Review. Blue Heron reserves the right to publish individual poems, first published in the online magazine, in an anthology format in the future. If you publish your own chapbook or poetry book, which happens to include one of the poems first published on the Blue Heron site, it is common courtesy to list Blue Heron on your acknowledgments page. It can be challenging to keep track of everything, but very worthwhile. It gives your book even more credibility, to show that some of your poems appeared in literary journals first. Response Time – Blue Heron will read and review your work carefully, thoughtfully and with great love and respect. Due to an increase in the volume of submissions, you will hear back from us within 8-10 weeks. Please do not write to ask about your submission before 10 weeks. Our inbox is always full. If you do not receive an acceptance, it might be because the poems didn’t quite match what we were looking for in that particular issue, or we didn’t have enough space in the issue. Your work will find a home. Keep submitting to other magazines that might be a better fit. Or, keep writing, reading samples of poetry on this site, and submit to us again during the next reading period. With each issue, the number of submissions increases. Blue Heron receives a high volume of very fine work. Blue Heron welcomes submissions from new, emerging, and established writers. We accept work from both North American and international poets. Submissions must be in English. 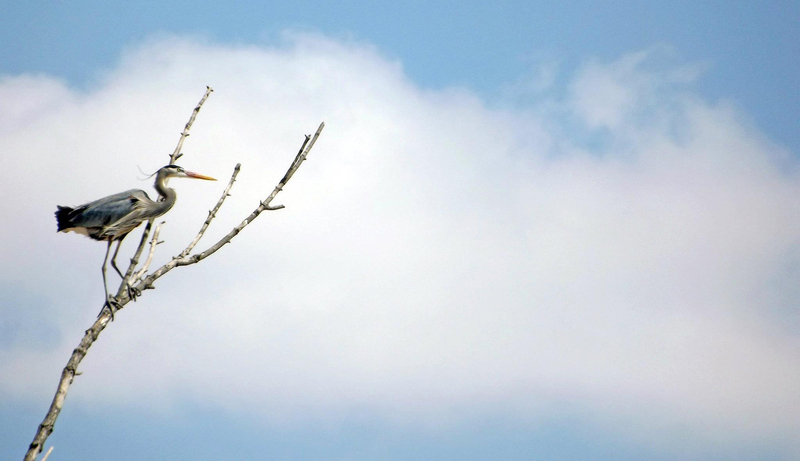 PLEASE NOTE: Blue Heron Review is a not-for-profit, online-only literary journal. We are not able to offer payment for publication of work in our issues. There is no submission fee. Staff members do not receive any income from working on Blue Heron Review. Peace and blessings on your path as a writer and a seeker. We look forward to reading your work! The best way to stay updated about current issues, announcements, and features is to “like” the Blue Heron Review Facebook page. Blue Heron Review is a member of the Community of Literary Magazines and Presses. Blue Heron Review is officially listed on the Duotrope literary magazine database.